Chester, PA, near Philadelphia, is no longer the best area to live, but used to be a thriving city where many of my ancestors originated from. Cape Charles, Virginia police sergeant dies from a gunshot would trying to capture a killer. 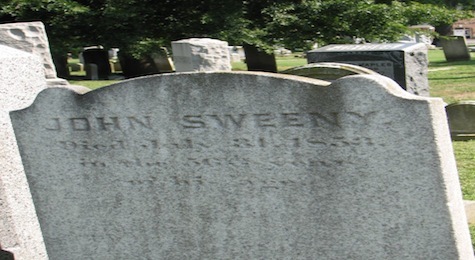 John Sweeny could be the father of William Sweeny of Chester, PA. John's will leaves William out, but does that mean he is not his father? Sunday morning for Washington, D.
R. Sweeny, 217 West Fifth street. Samuel Hanks-1 was born in 1768. He died on 28 May 1833. Harriet was born in 1789. She died on 12 Feb 1844. Spencer Hanks was born on 18 Jun 1819 in Tennessee. He died on 19 Jun 1872. Ely B. Hanks was born in 1815. He died on 10 Apr 1858. Spencer Hanks-2 (Samuel-1) was born on 18 Jun 1819 in Tennessee. He died on 19 Jun 1872. Mary Jane Sims was born in 1827. John W. Hanks was born in 1850. Sarah J. Hanks was born in 1852. C F Hanks was born in 1854. Lily A. Hanks was born in 1857. Samuel T. Hanks[2, 3, 4] was born on 30 Jan 1860 in Williamson , Illinois[2, 3, 4]. He died on 27 Feb 1948 in Williamson , Illinois. Samuel T. Hanks-3 (Spencer-2, Samuel-1)[2, 3, 4] was born on 30 Jan 1860 in Williamson , Illinois[2, 3, 4]. He died on 27 Feb 1948 in Williamson , Illinois. 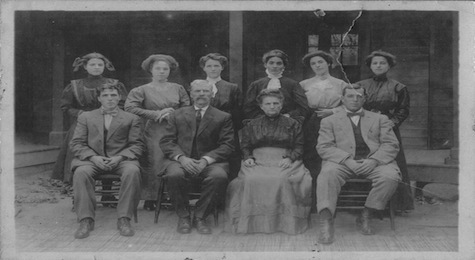 Susan Katherine Motsinger daughter of Jefferson Motsinger and Nancy M. Keaster was born on 23 Sep 1864 in Williamson , Illinois. She died on 24 Aug 1948 in Williamson , Illinois. Oscar Thomas Hanks[5, 6, 7, 8, 9] was born on 01 Dec 1882 in Williamson , Illinois[5, 6, 7, 8, 9]. 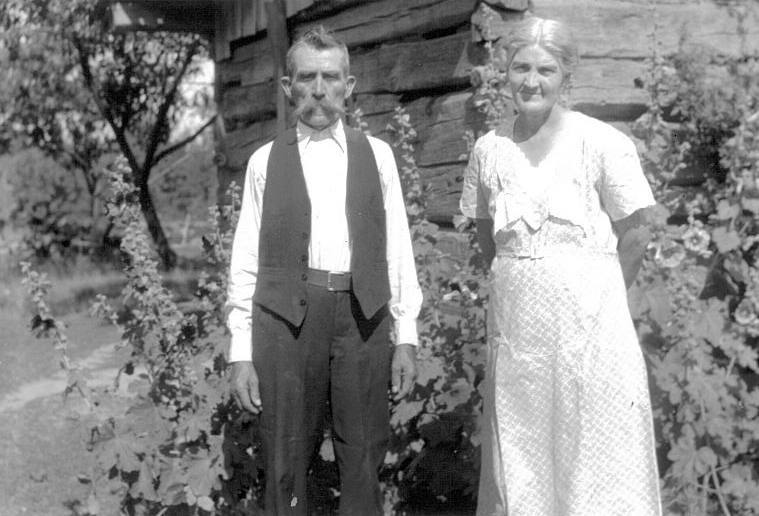 He married Emma Marie Reese in 1906. He died on 30 Mar 1971 in Williamson , Illinois. Bosala Hanks was born in 1888. Arsesna Hanks was born in 1889. Hersel Hanks was born in 1896. Hazle Hanks was born in 1897. Alonzo L. Hanks was born on 17 Jan 1898. He died on 01 Jul 1988. Cecil W. Hanks was born in 1905. Oscar Thomas Hanks-4 (Samuel T.-3, Spencer-2, Samuel-1)[5, 6, 7, 8, 9] was born on 01 Dec 1882 in Williamson , Illinois[5, 6, 7, 8, 9]. He died on 30 Mar 1971 in Williamson , Illinois. Emma Marie Reese daughter of Frederick Reese and Sophia Dralle was born on 20 Oct 1888 in Marion, Illinois. She died on 19 Mar 1948 in Williamson , Illinois. Pearl Hanks was born in 1909. May Hanks was born in 1910. William Hanks was born in 1912. Louie Hanks was born in 1914. Mary Alberta Hanks was born on 19 Aug 1915 in Williamson , Illinois. She married Orville Arno Hill on 09 Jan 1932 in Marion, Illinois. She died on 13 Sep 2005 in Marion, Illinois. Loudery Hanks was born in 1921. Louise Hanks was born in 1925. Earnest Hanks was born in 1928. Mary Alberta Hanks-5 (Oscar Thomas-4, Samuel T.-3, Spencer-2, Samuel-1) was born on 19 Aug 1915 in Williamson , Illinois. She died on 13 Sep 2005 in Marion, Illinois. Orville Arno Hill son of Milo Neely Hill and Mary Etta Blackburn was born on 21 Jul 1908 in Williamson, Illinois. He died on 01 Apr 1989 in Marion, Illinois. Roberta June Hill was born on 09 Nov 1932 in Marion County, Illinois. She married Theron Simmons Jr. on 28 Dec 1952 in Marion, Illinois. She died on 02 Nov 2006 in Oswego, Illinois. Orville Eugene Hill was born on 03 Dec 1933 in Marion, Williamson, Illinois, USA. He died on 30 May 1976 in Carbondale, Jackson, Illinois, USA. Kathern Hill was born on 12 Mar 1936 in Marion, Williamson, Illinois, USA. Roberta June Hill-6 (Mary Alberta-5, Oscar Thomas-4, Samuel T.-3, Spencer-2, Samuel-1) was born on 09 Nov 1932 in Marion County, Illinois. She died on 02 Nov 2006 in Oswego, Illinois. Although many think of Ireland when the surname Sweeny is mentioned, it actually has Scottish origins. In the thirteenth century the MacSweens controlled lands across central Argyll, as far north as Loch Awe and as far south as Loch Fyne. They occupied about three castles including Sween Castle (possibly the oldest surviving stone built castle in scotland and is the one pictured above). The other two were Lochranza on the Isle of Arran and Skipness Castle. 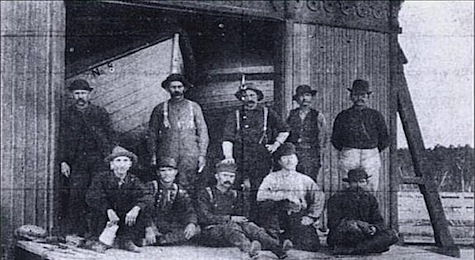 In short, after Dugall MacSween granted Walter Stewart lands the Mac Sweens were disposed from Castle Sween. An attempt by John MacSween to take the castle back failed and the MacSween's went to Ireland. 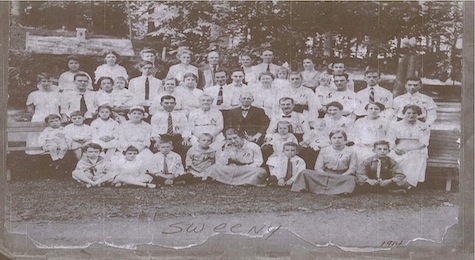 Many believe the split between "Sweeny" and "Sweeney" is the result of a split from Catholocism. 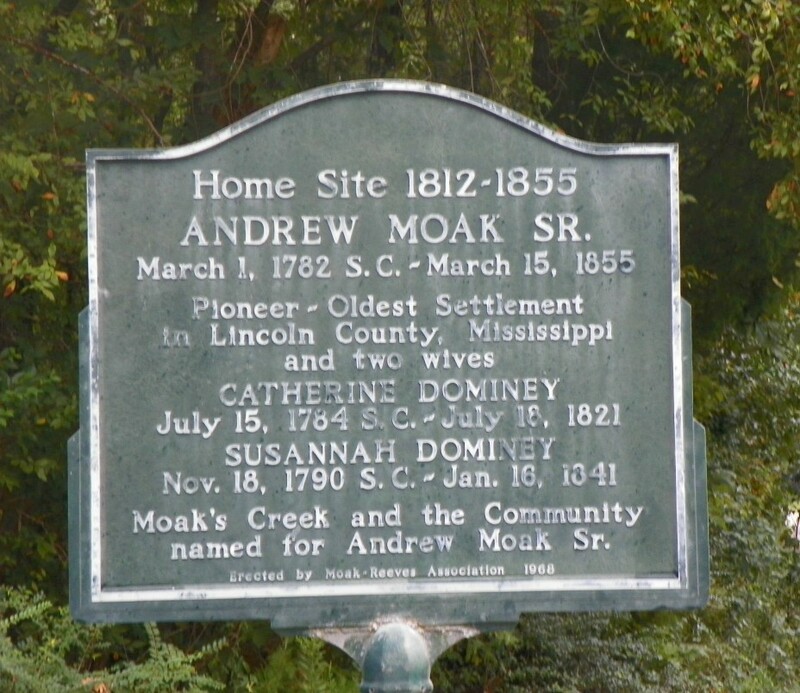 Although my 4th great grandfather, William Sweeny, was Catholic and his wife was Methodist, our last name was Sweeny before we became Methodist. Williams wife clearly raised their kids as Methodist. So, this theory does not show to be true in our case. Many of the MacSween's became Gallowglass mercenary soldiers near Donegal, Ireland (as shown on the left). Angela Mary Huiras daughter of Joseph Stephen Huiras and Leona Ludwig was born on 26 Feb 1924 in Minnesota, USA. She died on 31 Jan 1994 in Sleepy Eye, Minnesota, USA. Roman Gregory Hillesheim son of Frank Anton Hillesheim and Catherine Goblirsch was born on 12 Mar 1922 in Minnesota. He died on 05 Sep 2011 in Sleepy Eye, Minnesota. Roman Gregory Hillesheim and Angela Mary Huiras were married on 12 Oct 1943.They had 14 children. Joseph Stephen Huiras son of John Baptist Huiras Jr. and Barbara Holm was born on 26 Dec 1896 in Leavenworth, Minnesota. He died on 30 Jun 1966 in New Ulm, Minnesota. Leona Ludwig daughter of Mathias Ludwig and Anna K. Schiltz was born on 23 Nov 1899 in Leavenworth, Minnesota. She died on 16 Jan 1958 in Sleepy Eye, Minnesota. Eulalia Gertrude Huiras was born in 1935. She died in 2003. Odelia Barbara Huiras was born in 1921. Eugene Joseph Huiras was born in 1926. He died in 2009. Melvin Edwin Huiras was born in 1927. He died in 1981. Victor Ervin Huiras was born in 1921. He died in 1972. Joseph P Huiras was born in 1930. He died in 1991. Marlee A Huiras was born in 1934. Angela Mary Huiras was born on 26 Feb 1924 in Minnesota, USA. She married Roman Gregory Hillesheim on 12 Oct 1943. She died on 31 Jan 1994 in Sleepy Eye, Minnesota, USA. John Baptist Huiras Jr. son of John Baptist Huiras and Magdalena Theis was born on 20 Jan 1859 in Fredonia, Wisconsin. He died on 07 May 1947 in Leavenworth, Minnesota. Barbara Holm daughter of John Holm and Catherine Warscheidt was born on 06 Dec 1868 in Minnesota. She died on 28 Sep 1942 in Sleepy Eye, Minnesota. Edwin M. Huiras was born in 1896. He died in 1985. Katherine R. Huiras was born in 1900. Matilda A. Huiras was born in 1906. She died in 1998. Sylvester J. Huiras was born in 1908 in Minnesota, USA. He died on 30 Jun 1966 in New Ulm, Brown, Minnesota, USA. Joseph Stephen Huiras was born on 26 Dec 1896 in Leavenworth, Minnesota. He died on 30 Jun 1966 in New Ulm, Minnesota. Mathias Ludwig son of Peter Ludwig and Eva Kiefer was born on 31 Jul 1868 in Holland, Brown, Wisconsin. He died on 25 Mar 1951 in Nicollet, Nicollet, Minnesota. Anna K. Schiltz daughter of Frank Schiltz and Mary Vrtes was born on 31 Aug 1872 in Minnesota. She died on 17 Apr 1940 in Brown, Minnesota. Frank Ludwig was born in 1891. He died in 1914. John Ludwig was born in 1892. He died in 1971. Urban Ludwig was born in 1894. Mary Ludwig was born in 1895. She died in 1953. Raymond Ludwig was born in 1897. He died in 1970. Ursula Ludwig was born in 1901. She died in 1901. Vetalis Ludwig was born in 1902. Elizabeth E. Ludwig was born in 1903. Loretta E. Ludwig was born in 1906. Nickolas E. Ludwig was born in 1908. He died in 1976. Hillarius Joseph Ludwig was born in 1910. He died in 1986. Leona Ludwig was born on 23 Nov 1899 in Leavenworth, Minnesota. She died on 16 Jan 1958 in Sleepy Eye, Minnesota. John Baptist Huiras son of Johan Andreas "Andrew" Huiras and Anna Maria Lautenschlager was born on 19 Jan 1832 in Buchenlohe, Bavaria. He died on 22 May 1906 in Leavenworth, Minnesota. Magdalena Theis was born in Oct 1835. She died on 10 Nov 1900 in Leavenworth, Minnesota. Magdalena Huiras was born in Mar 1861. She died on 16 Sep 1933. Jospeh Huiras was born in 1862. He died about 1934. Anna Marie Huiras was born on 18 Feb 1865. She died on 09 Jan 1903. Ida Huiras was born on 28 Feb 1866. She died on 31 Oct 1941. Therisia Huiras was born in Jan 1868. She died on 09 Jul 1931. Michael Huiras was born in 1870. Agnes Huiras was born in 1875. William Huiras was born on 17 Apr 1876 in Minnesota, USA. He died on 22 Feb 1943 in San Joaquin, California, USA. Anna Huiras was born on 29 Dec 1859. She died on 16 Apr 1918. John Baptist Huiras Jr. was born on 20 Jan 1859 in Fredonia, Wisconsin. He died on 07 May 1947 in Leavenworth, Minnesota. John Holm was born in 1835 in Bohemia, Austria. Catherine Warscheidt was born in 1832 in Bohemia, Austria. Barbara Holm was born on 06 Dec 1868 in Minnesota. She died on 28 Sep 1942 in Sleepy Eye, Minnesota. Peter Ludwig son of Henry Ludwig and Maria Schmidt was born in 1845 in Luxembourg. He died on 12 Dec 1891 in Prairieville, Brown, Minnesota. Eva Kiefer daughter of John Kiefer and Anna Mary Schmitz was born in 1847 in Germany. She died in 1872 in Belgium, Wisconsin. John Ludwig was born in 1866. He died in 1944. Peter Ludwig was born in 1869. He died in 1869. Mary Ludwig was born in 1871. She died in 1951. Mathias Ludwig was born on 31 Jul 1868 in Holland, Brown, Wisconsin. He died on 25 Mar 1951 in Nicollet, Nicollet, Minnesota. Frank Schiltz son of Peter J. Schiltz and Catharina Hammer was born on 10 Mar 1848 in Luxembourg. He died on 07 Mar 1923 in Annaheim, , Saskatchewan, Canada. Mary Vrtes daughter of Albert Vrtes and Catherine Kahovac was born on 19 Mar 1848 in Bohemia, Austria. She died on 11 May 1931 in Annaheim, , Saskatchewan, Canada. Anna K. Schiltz was born on 31 Aug 1872 in Minnesota. She died on 17 Apr 1940 in Brown, Minnesota. Johan Andreas "Andrew" Huiras son of Michael "Hojras" Huiras and Appollonia Wolf was born on 16 May 1800 in Buchenlohe, Bavaria, Germany. He died on 24 Jun 1866 in Leavenworth Township, Brown County, Minnesota. Anna Maria Lautenschlager was born in 1804 in Buchenlohe, Germany. She died on 04 Aug 1878 in Leavenworth, Minnesota. John Baptist Huiras was born on 19 Jan 1832 in Buchenlohe, Bavaria. He died on 22 May 1906 in Leavenworth, Minnesota. Theresia Huiras was born on 07 Mar 1837 in Germany. She married John Joseph Schumacher on 14 Jul 1858. She died on 07 Jan 1925 in Minnesota. Joseph Huiras was born in 1829. He died in 1909. Johann G. Huiras was born in 1834. He died in 1911. Anna Maria Huiras was born in 1837. She died in 1913. Andreas Huiras was born in 1839. He died in 1839. Michael Huiras was born in 1847. He died in 1929. Katherina Huiras was born in 1844. She died in 1888. Henry Ludwig was born in 1818 in Hessen, Germany. Maria Schmidt was born in Aug 1818 in Germany. Peter Ludwig was born in 1845 in Luxembourg. He died on 12 Dec 1891 in Prairieville, Brown, Minnesota. John Kiefer was born in Germany. He died in 1898 in Sleepy Eye, Brown, Minnesota. Anna Mary Schmitz. She died in 1900. Eva Kiefer was born in 1847 in Germany. She died in 1872 in Belgium, Wisconsin. Peter J. Schiltz was born in 1814 in Aestrich, Luxembourg. He died on 09 May 1896 in New Prague, Scott, Minnesota. Catharina Hammer was born in 1810 in Luxembourg. She died on 18 Dec 1884 in Scott, Minnesota. Frank Schiltz was born on 10 Mar 1848 in Luxembourg. He died on 07 Mar 1923 in Annaheim, , Saskatchewan, Canada. Albert Vrtes son of Jacob Vrtes and Anna Levy was born on 28 Mar 1826 in Caprovice, Bohemia. He died on 24 Jan 1894 in New Prague, Scott, Minnesota. Catherine Kahovac was born on 23 Sep 1827 in Bohemia. Mary Vrtes was born on 19 Mar 1848 in Bohemia, Austria. She died on 11 May 1931 in Annaheim, , Saskatchewan, Canada. Michael "Hojras" Huiras son of Johann Andreas "Hoyrass" Huiras and Maria Magdalena Wolf was born on 30 Mar 1759 in Buchenlohe, Germany. He died in 1803 in Buchenlohe, Germany. Appollonia Wolf was born on 13 Nov 1764. She died in 1806. Maria Eva Huiras was born on 10 Dec 1783 in Germany. George Michael Huiras was born on 23 Nov 1784 in Germany. Maria Anna Huiras was born on 19 Apr 1787 in Bavaria, Germany. Joseph Huiras was born on 07 Apr 1788 in Germany. Theresia Huiras was born on 05 Jan 1791. Peter Huiras was born on 30 Jun 1792. Klara Huiras was born on 25 May 1795 in Germany. Georg Huiras was born on 18 Dec 1798 in Germany. Andrew Huiras was born on 25 May 1795 in Buchenlohe, Bavaria, Germany. Johan Andreas "Andrew" Huiras was born on 16 May 1800 in Buchenlohe, Bavaria, Germany. He died on 24 Jun 1866 in Leavenworth Township, Brown County, Minnesota. Albert Vrtes was born on 28 Mar 1826 in Caprovice, Bohemia. He died on 24 Jan 1894 in New Prague, Scott, Minnesota. Johann Andreas "Hoyrass" Huiras son of George "Hoyrass" Huiras and Margaretha Schneider was born on 24 Mar 1717 in Buchenlohe, Germany. He died on 01 Aug 1796 in Germany. Michael "Hojras" Huiras was born on 30 Mar 1759 in Buchenlohe, Germany. He died in 1803 in Buchenlohe, Germany. George "Hoyrass" Huiras son of Johann "Hoyrass" Huiras and Walburga was born in 1694 in Buchenlohe, Germany. Johann Andreas "Hoyrass" Huiras was born on 24 Mar 1717 in Buchenlohe, Germany. He died on 01 Aug 1796 in Germany. Johann "Hoyrass" Huiras was born in 1646. George "Hoyrass" Huiras was born in 1694 in Buchenlohe, Germany. He married Margaretha Schneider on 11 Jun 1709.